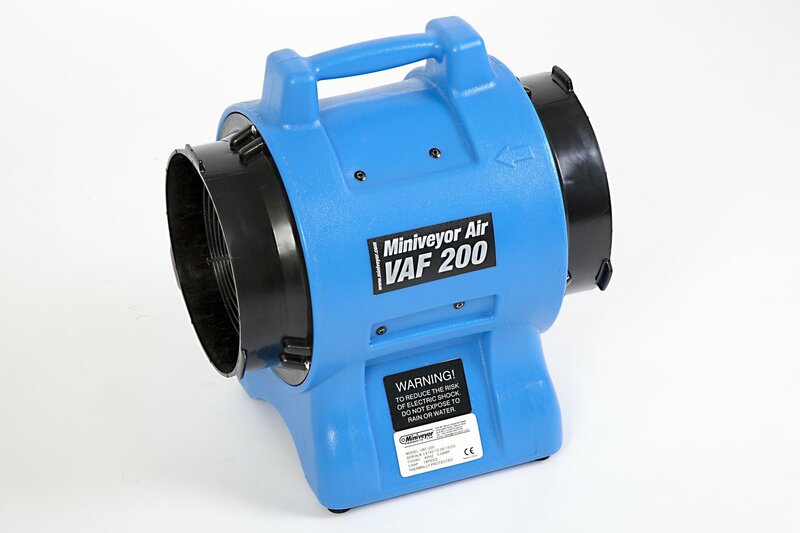 The Miniveyor Air VAF-200 portable ventilators replace our older design VAF-1500 and are a compact and powerful smaller brother of our most popular ventilators, the VAF-300. Available in either 110V or 230V, the rugged, 2nd generation design, VAF-200 portable blower is at home ventilating confined spaces or removing welding fumes. 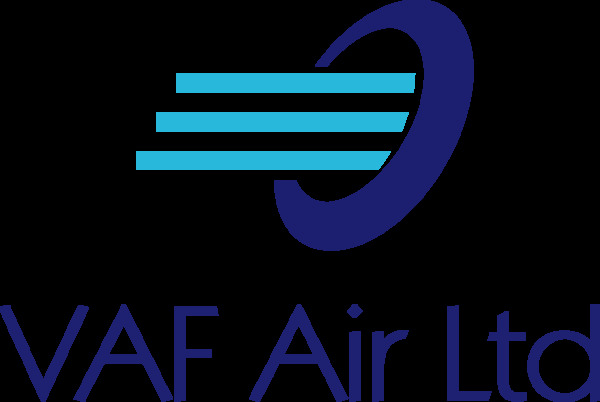 The 200mm (8”) diameter VAF200 ventilator, weighs only 7.5 kg (16½lbs) and can provide 1480 m³/hr (870 CFM) of air flow, driven by a 250W (1/3HP) motor.